fb201 - fb202 - facebook for Your Business - What can the 'net' do for your business? This will take you to a page to reserve your spot and collect payment. This course is a two part series and is intended to be a jumpstart education for the small business that is interested in establishing a facebook presence. A facebook company page is a commitment and deserves some planning before jumping in. Social media is here to stay. facebook now has more activity than Google. Regardless of the size of your company, you need to learn how Facebook can benefit your company. The first course will be focused on considerations for planning your presence and thinking through how best to leverage for your business. The second will be focused on implementation specifics, which you may use yourself or to be thinking of when hiring someone. The guest speaker for these courses will be Tami Simms-Powell, Director of Marketing for ALVA International Realty (bio) who is using facebook in her business. Tami is a national advisory board member for CyberStars (TM), frequent national speaker/panelist and instructor for the Institute for Luxury Home Marketing. Lunch will be catered by Kahwa Coffee of St. Pete (scroll down for the menu. You will be prompted for your selection when you register) of St. Pete, which will include a gourmet sandwich or salad and a soft drink. 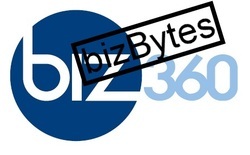 Please email fb201@biz360.biz , if you have additional questions.